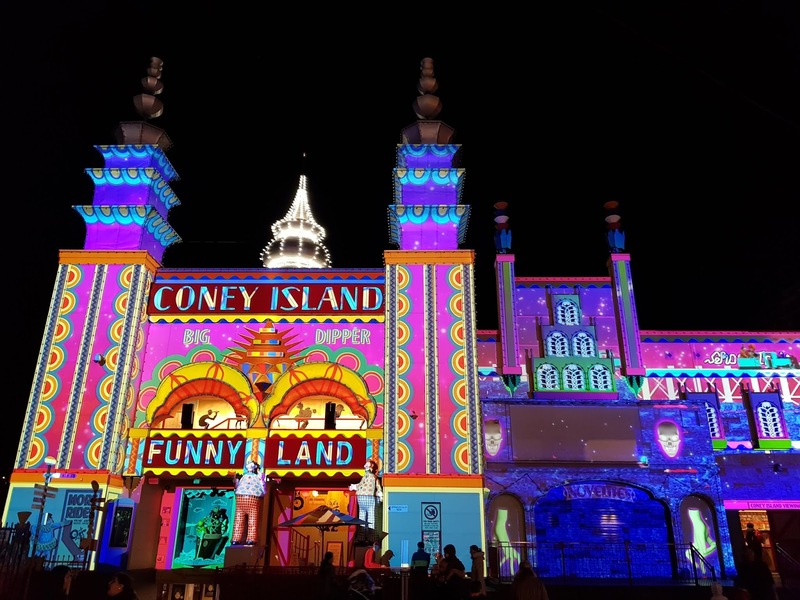 "Spirit of Fun" is a son et lumière or a sound and light show on the facade of Coney Island at Luna Park in the north shore suburb of Milson's Point. 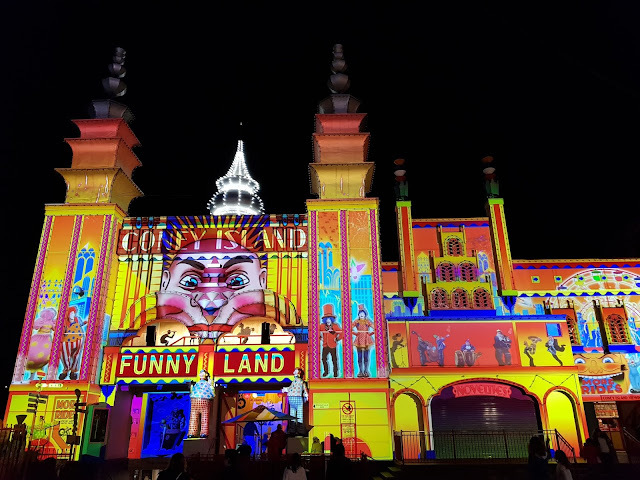 This animated light projection was created by Electric Canvas, as part of Vivid Sydney festival and celebrates the history and magic of the amusement park, open since 1935. Linked to: Monday Mural, Amaze Me Monday, Through My Lens, Blue Monday, Ruby Tuesday, Pink Saturday. 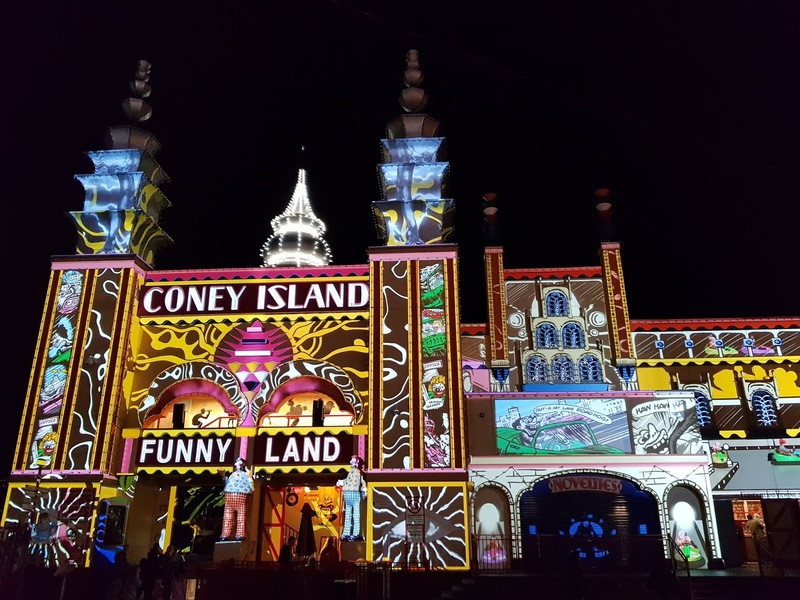 I would love to see this light show! That looks good in the dark, colourful images. Beautiful! Though the first pic was a tad irritating. With the soccer world championship just around the corner everything here at the moment is black-red-gold! The World Cup must be a huge event in your country. Beautiful Jim! Thanks for contributing. 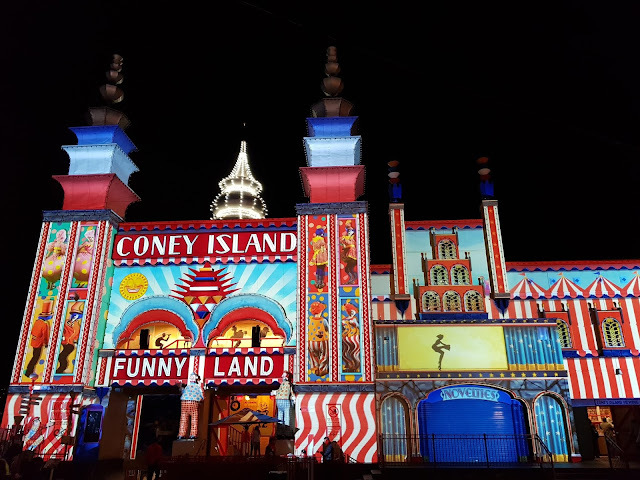 ...Jim, your light shows are fabulous, thanks for sharing. Enjoy your week. What a wonderful tribute to the amusement park! Beautiful lighting designs.